RIVIERA NAYARIT, MEXICO (November 26, 2018) – As the new year approaches, Riviera Nayarit is inviting those adventurous travelers who prefer to make travel trends than to follow them, to plan a trip to Mexico’s Pacific Treasure in 2019. Aside from 192 miles of pristine coastline, the wondrous Sierra Madre Mountains and endless protected natural marvels, the destination boats a variety of experiences that can only be had in Riviera Nayarit. 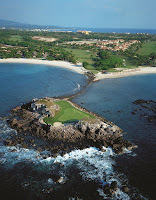 Luxurious and exclusive Punta Mita, is a haven for golfers with two Jack-Nicklaus designed courses: Pacifico and Bahia. 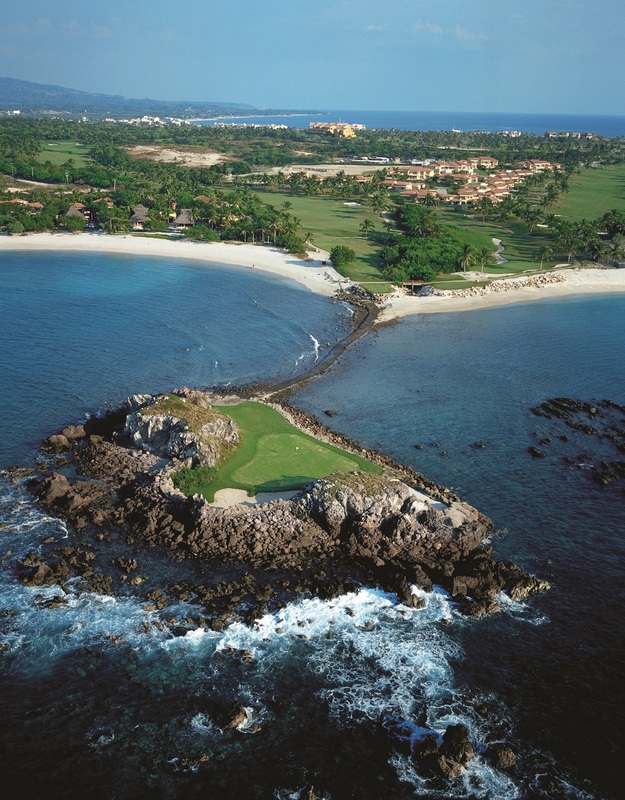 Spread over 200 acres, Pacifico takes full advantage of its location on the exclusive peninsula, offering views of the Pacific Ocean and Banderas Bay. Its most famous hole is 3B, which Nicklaus himself called the best hole he ever designed. It’s about 194 yards from the shore on a natural island green, a challenge to drive a ball to. At low tide, a whale shaped sandbar pathway leads to the island, giving it the nickname “Tail of the Whale.” Otherwise it can be reached via unique amphibious golf carts. Travelers might even see real Humpback whales swimming offshore during their annual Pacific migration. Some of the world’s most unique species inhabit Isla Isabel, a volcanic island nature sanctuary located in Santiago Ixcuintla, about 40 miles off the coast of San Blas. Although it was recently declared a protected natural area by the Mexican federal government, its origins date back about 3,000 years. It is now a protected UNESCO biosphere reserve and national park with mountains and cliffs that offer panoramic views of the Pacific Ocean. One of the most coveted activities during winter is swimming with whale sharks off the main coast on the way to Isla Isabel. These gentle giants, considered the largest fish on the planet, swim against the currents that dive from the estuaries in to the ocean with a lot of food source. At nearly 50 feet in length and up to 13 tons in weight, these gentle giants are huge but harmless, and typically seen from November through March. The island is also home to bird species normally associated with the Galapagos Islands, including the fascinating Blue-Footed Booby, the Yellow-Footed Brown Booby and the Red-Footed Booby. Very few permits are authorized for visiting, and overnighters should come prepared with sleeping tents. 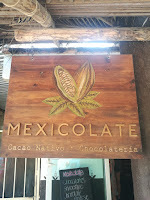 The magic bean known as chocolate has been a specialty of Mexico since the ancient Aztecs and Mayans ruled this region. In Riviera Nayarit, Mexicolate makes of dreamy blends of chocolate and other locally grown ingredients, from chili pepper blends to vanilla, cinnamon and other spices. The authentic process uses sun dried beans, with blends free of sugar and milk, recreating as closely as possible the way chocolate was enjoyed in pre-Columbian times. They are located exclusively in Riviera Nayarit, with an outlet in San Pancho and another in Sayulita. As it is with chocolate, corn is native to the Americas, but the state of Nayarit in particular is home to the largest corn cobs in the world, an achievement recorded by the Guinness Book of World Records. The main event celebrating corn here is The Sweet Corn Fair in Jala and Xalisco region, held in mid-August around the time of the Feast of the Assumption of the Virgin Mary. However, travelers can expect to indulge on delicious corn all through the harvest season. The region is a driving distance from the Riviera Nayarit, about one hour from San Blas and three hours from Nuevo Vallarta. The largest corncob ever grown in the region was 20 inches long, but most average at least a foot, with annual winners usually in the 14 to 16-inch range. Riviera Nayarit allows you to connect with native Mexican culture in many ways. Among the most intriguing are the Huichol ceremony available at the Grand Velas Riviera Nayarit and Temazcal rituals at Imanta Resorts Punta de Mita. Both properties include these experiences in packages that make them easily accessible. The beachside Huichol wedding ceremony is a part of the unique culture of this tribe, that still lives nearby in the Sierra Madre Mountains. 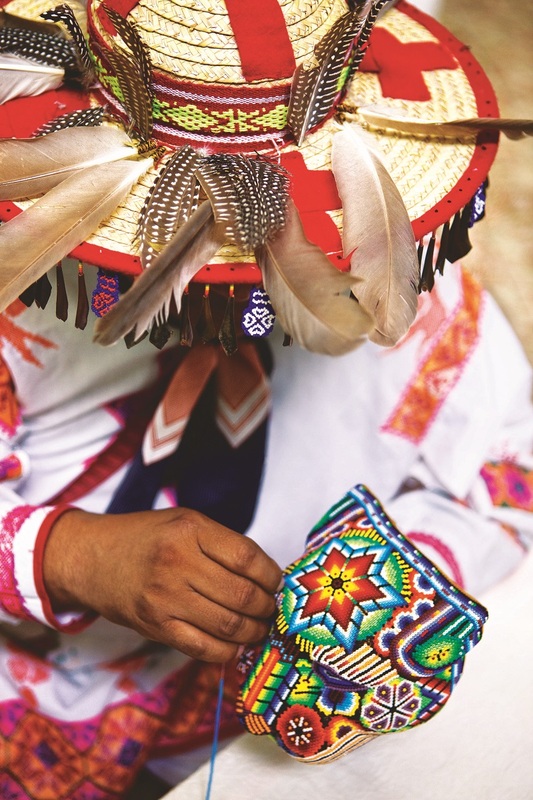 The bride wears traditional Huichol white-attire adorned with flowers or deer embroidery, while the groom dons a palm hat adorned with tree seeds or feathers. The Temazcal ritual at Imanta is a form of hothouse experience, a spiritual cleaning conducted inside of a volcanic rock dome structure, connecting its practitioners to ancient rituals performed over the centuries throughout Mesoamerica. Riviera Nayarit is the ideal destination for a one-of-a-kind trip that connects travelers to the native Mexican culture through experiences solely found in the region. Moreover, it is easily accessible, as it offers connections to most major U.S. and Canadian cities through Puerto Vallarta´s International Airport, which is serviced by 250 international and national flights per week.